We are pleased to present you with the Annual Education Report (AER) which provides key information on the 2017-18 educational progress for the Marshall Opportunity High School. 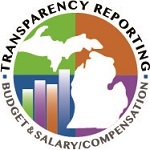 The AER addresses the complex reporting information required by federal and state laws. The school’s report contains information about student assessment, accountability, and teacher quality. If you have any questions about the AER, please contact Ben Wallace for assistance. For the 2017-18 school year, schools were identified using new definitions and labels as required in the Every Student Succeeds Act (ESSA). A Targeted Support and Improvement (TSI) school is one that has at least one underperforming student subgroup. An Additional Targeted Support (ATS) school is one that has three or more underperforming student subgroups. A Comprehensive Support and Improvement (CSI) school is one whose performance is in the lowest 5% of all schools in the state. Some schools are not identified with any of these labels. In these cases, no label is given. MOHS HAS NOT BEEN GIVEN ONE OF THESE LABELS. •We did not attain target achievement goals in English language arts. •We did not attain target achievement goals in mathematics. •We did not attain target achievement goals for all subgroups of students in mathematics. •We did not attain target achievement goals for all subgroups of students in English language arts. •We did not meet the 80% graduation rate goal. •We did not meet the 90% attendance rate goal. Because our school has not made AYP for three years we are identified for School Improvement. Some of the steps that we have taken to rectify our target goals are to: Work within the Learning Design Model to increase both Math and English proficiency and understanding. We are putting together some strategies to “catch-up” our students so that they are performing closer to grade level. To raise our M-Step/SAT scores, we are also continuing our ACT/M-Step Vocabulary work each week and will continue to practice our testing skills via the Mel.org practices tests. We also provide our students with either the COMPASS test or the ASVAB testing services to better prepare them for the SAT/M-Step. We will also be holding an Open House and College Fairs. As of the spring of 2014, we have begun to implement the PBIS system of positive behavior supports to offer encouragement and success to those students who might not otherwise experience that at home. We are a credit recovery school that provides an opportunity for those students who have not found success previously at their sending schools or who are at risk of dropping out. The students who come to us are those who want to finish school and receive a high school diploma. The students not only able to recover credit, but are also able to attend the Calhoun Area Career Center where students are able to learn a trade or skill that allows them to be more employable upon graduation. A small percentage of those students are also able to college classes at KCC. The challenges that they often face our students are that they are often behind in not only credits, but also functional skills within the classroom. The students are often sent to us via their counselors from the sending schools because they are credit deficient and are at risk of not graduation or dropping out of school. We, as every other public school in the state of Michigan, must follow the Michigan Merit Curriculum and we follow the same curriculum that is used at Marshall High School. You may access this curriculum at either Marshall Opportunity High School or Marshall High School. We continue to seek additional parent support and inclusion. We have parent/teacher conferences 4 days each year and have approximately 25% participation. IDENTIFY HOW TO ACCESS A COPY OF THE CORE CURRICULUM, A DESCRIPTION OF ITS IMPLEMENTATION, AND AN EXPLANATION OF THE VARIANCES FROM THE STATE’S MODEL: We, as every other public school in the state of Michigan, must follow the Michigan Merit Curriculum and we follow the same curriculum that is used at Marshall High School. You may access this curriculum at Marshall High School or by contacting the Curriculum Director, Don Beck. THE AGGREGATE STUDENT ACHIEVEMENT RESULTS FOR ANY LOCAL COMPETENCY TESTS OR NATIONALLY NORMED ACHIEVEMENT TESTS: You may see the results for the M-Step test for MOHS by accessing the AER report on the MOHS website. IDENTIFY THE NUMBER AND PERCENT OF STUDENTS REPRESENTED BY PARENTS AT PARENT-TEACHER CONFERENCES: We continue to seek additional parent support and inclusion. We have parent/teacher conferences 8 days each year and have approximately 25% participation. MOHS had a total of 13 student’s dual enrolled in college coursework. THE NUMBER OF COLLEGE EQUIVALENT COURSES OFFERED (AP/IB): MAHS does not currently offer AP classes. We continue to strive towards steering our students towards success not only in academics, but also socially and in accountability. We appreciate all of our school, community and parental support as we work towards that endeavor.